Visitation for Tina Louise Casey will be held from 1:00 p.m. – 2:30 p.m., Saturday, September 15, 2018 at Calvary Baptist Church, Cleveland, Texas. Services will follow starting at 2:30 p.m., Saturday, September 15, 2018 at Calvary Baptist Church, Cleveland, Texas. 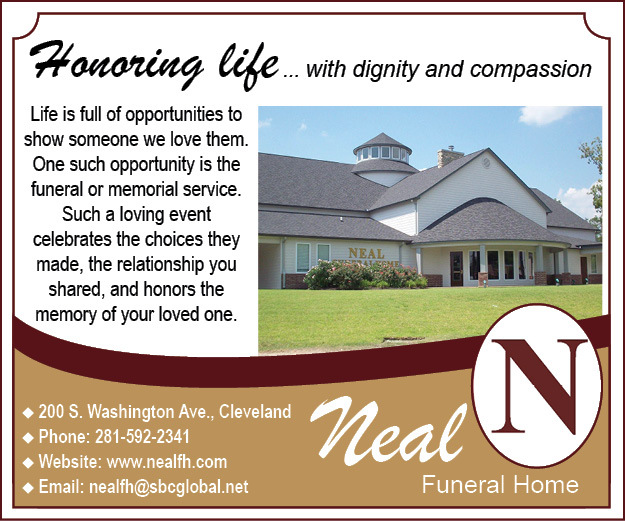 Interment will follow at Bear Creek Cemetery, Cleveland, Texas.